There’s still a lot of work to do. “What kind of work?” you ask. Well, I’ve been researching what else needs to be done ever since I finished Lightning on the Levee a couple of months ago. I truly didn’t expect it to take so long just to get ready to start sending queries to literary agents. Here are some things that every author has to decide, and do, in order to get their book published. Create an author platform. The author platform is vitally important, whether you’re going the traditional publishing route, or self-publishing. My author platform consists of my website , Facebook author page , and Twitter . Other authors’ platforms may consist of different or additional places where an online presence can and should be established. If you write books about dogs and want to join every dog forum out there, go for it. The author platform is a whole other topic that I’ll be covering in the future. Decide whether to have your book published traditionally, or to self-publish. There are pros and cons to both, which I may discuss in another post sometime. I decided early (while I was still writing it) that for Lightning on the Levee, I wanted to go the traditional publishing route. Once you’ve decided to use traditional publishing, you have to decide on whether or not to use an agent. Again, there are pros and cons to both, but my analysis ended up looking something like “20 Reasons to Use an Agent” (which I’ll talk about in another post in the future). Hmm. Looks like I should have started writing about some other subject than the Query Letter. Oh well. So I started researching agents and what I should send them. Hint: it isn’t my manuscript. I found out that, regardless of what else they want to see, *all* agents want something called a “Query Letter”. Okay, I knew I needed a synopsis of the book, and/or chapters ready to send, but I hadn’t thought at all about what I should send along with it. Maybe I thought I could just say something like, “Hey, take a look at my first three chapters and send me a check!” No, not really, but close. So what exactly is a Query Letter? The Query Letter is a short (maximum 250 words) and succinct description of the book, written in the voice of the book, which is supposed to seduce a busy agent to stop and take notice. It needs to entice the agent – who is looking for any excuse to delete my email – to read more. Yes, I know the sentence above belongs nowhere in a query letter, because it doesn’t give the correct information that’s needed for your query. In your novel, sure! Let Addy eat doughnuts! Make sure that every sentence has a good rhythm, and that all the sentences put together in each paragraph have a rhythmic appeal. Make those sentences dance! Huge blocks of text are hard to read, so it’s best to break up your query into short paragraphs. Imagine trying to read this post without having frequent visual breaks. I really don’t want any literary agents just skimming my query (because it’s one huge Block O’Text) and hitting “Delete”. I want them to actually read it! So let’s make it easier for them by breaking up the longer paragraphs. One literary agent who I’m following says, “Give me just enough to make me beg to read more.” So that’s what I want to accomplish with my query. And a major part of making her beg to read more, is that the query needs to follow a certain structure. Start with “Dear [Agent’s Name]”. Nobody should have to be told this, but I’ve read that many authors’ first mistake is to write “Dear Agent”, or even worse, to write “Dear Mr. Jack” when they’re querying Ms. Jill. Write this paragraph wrong, and you’ve lost that agent forever. Start with the name of the main character. Mine is Flint Arrington. Some agents, but not all, like to see FLINT ARRINGTON in all caps. This isn’t something that’s important, so you can make your own choice about whether to use all caps or not. Begin at the point in the novel when the main character’s problem (which is to be solved in the rest of the book) is illustrated by him/her being forced to make a choice. Sometimes that’s a few chapters along. 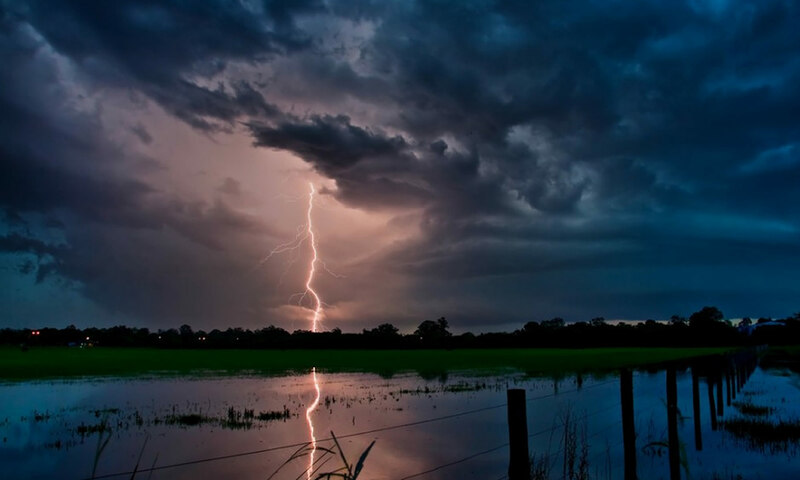 In Lightning on the Levee, that choice is on the first page. Don’t bother with backstory. For instance, I don’t need to tell the agent *why* Flint is depressed and suicidal at the beginning of the story. I just need to say that he is. In other words, set up the situation. What’s the choice to be made, and what problem does that choice cause for the main character? Make sure that the last sentence in this paragraph lures the agent to keep reading. I don’t want the agent to read my first paragraph and say “Bleh, I’ll stop here”. What’s at stake? What drives the main character to make the choice he/she makes? What terrible thing will happen if the main character chooses option A? And what horrible thing will happen if the main character chooses option B? In your novel about dogs, what happens if Bear eats the steak on the counter? He knows he’ll be punished, and made to stay in his carrier for a while. What happens if Bear doesn’t eat the steak on the table? Fido will eat the steak and Bear will get blamed for it. And Bear will be punished and made to stay in his carrier for a while. Write the last sentence in this paragraph on the up-beat. Show that Bear’s emotional strength and maturity make him do the right thing, regardless of the consequences. Make the voice here forceful. Be sure that this paragraph gives the agent a good sense of the steaks – er – stakes and a sense of the choice your main character has to make. Tie it up, but DO NOT reveal the ending! Also, don’t ask rhetorical questions, such as “Will Bear do the right thing and leave the steak alone? Or will he decide to eat the steak because he’ll be blamed for it anyway? Ask for my manuscript and find out!” I’ve read that agents hate that. I would hate that if I were an agent. Entice them to keep reading. Lure them into reading your chapters/synopsis/manuscript or whatever else they’ve asked for. If appropriate, say a little bit about yourself. Do you have previously published works that have done well? Are you a member of a well-known writing organization? Do you teach writing? If your book is about a barrel racer and his horse and you compete in barrel racing, that’s important. If you’re a detective and your book is a murder mystery, that’s important. If you self-published and your e-book sold 12 copies on Amazon, that’s not worth mentioning. If your fur babies are Bear and Fido, and this book is about them, it’s best not to mention that. Just talk about the important stuff. If it isn’t important, don’t include it just to get another paragraph. The TITLE OF THE BOOK in all caps. The genre of the book. The number of words in the book. That the book is already complete. Yes, the book should be complete. Imagine that. If it’s your first full length novel, you can mention that it’s your debut if you want to. It’s completely optional. LIGHTING ON THE LEVEE is a romantic science fiction novel complete at 73,000 words. Comp titles. Use reasonably new titles. If your comp books are ten years old, don’t mention them. It’s better not to list comps at all than to have old titles. This book will appeal to readers who enjoyed Joe Smith’s ‘Summer in the South’; Mary Jones’s ‘Diary of a Person’; and John Johnson’s ‘Star Traveler’. Be sure and say “thank you” at the closing. Remember, the agent is busy, and he/she would like to know that you appreciate them taking their valuable time to read your query. And hopefully, to read beyond the query into the synopsis or chapters or whatever else they’ve stated on their website they want to see. Thank you so much for your time. Time is such a precious thing. Lastly, be sure and include your name and contact info. Would you believe that many authors forget to include their contact info? Yeah, me neither, but it apparently happens a lot. Favorite Color No, no no! Just kidding! Now let your query sit for a week. Then come back to it. You’ll be surprised what you see that you want to change. Next PostNext 12 Romantic Memes for Your Valentine!